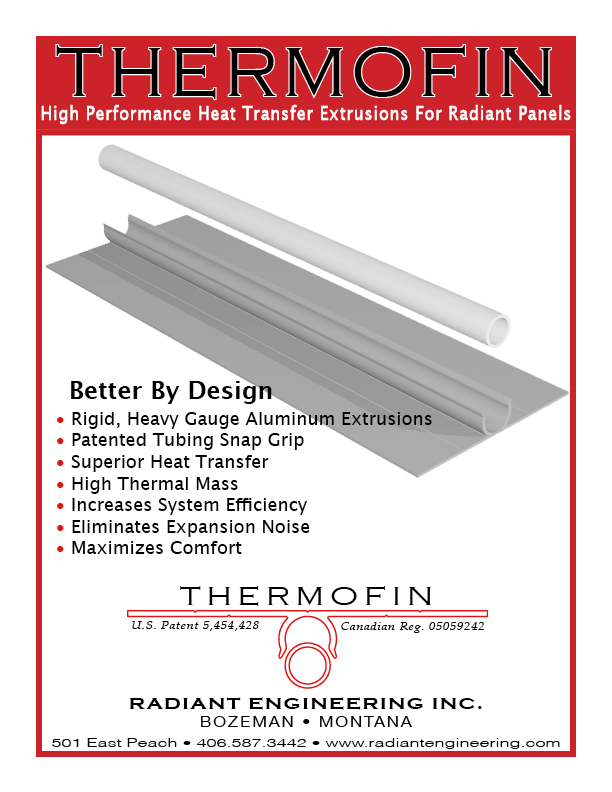 RADIANT manufactures our patented ThermoFin heat transfer plates. 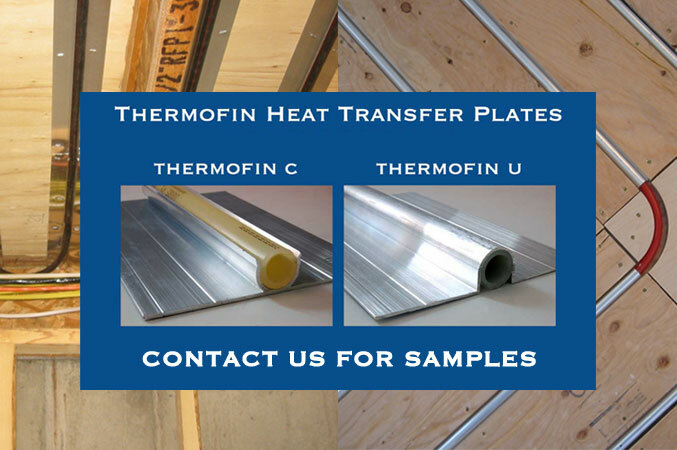 ThermoFin extruded aluminum heat transfer plates increase the efficiency of radiant heating systems. 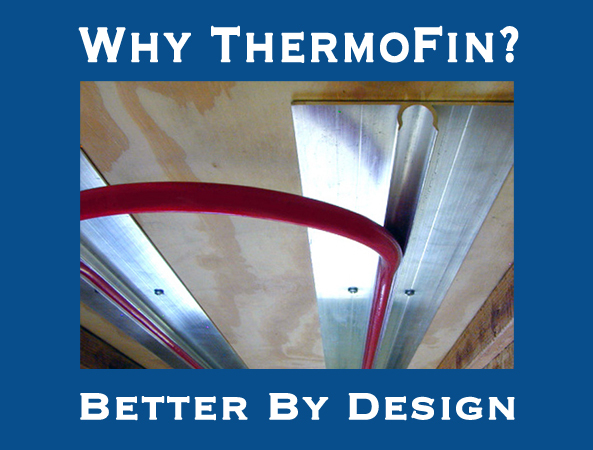 The thermal mass of the plate and the firm grip on the tubing that transfers heat from the hydronic fluid into the plate, make ThermoFin more energy efficient than tubing alone or other metal plate or board systems. We will send free samples of ThermoFin to you. Simply send a request with the form on our contact page. RADIANT offers a unique combination of modern planning methods with practical, real world, professional hands-on practice. 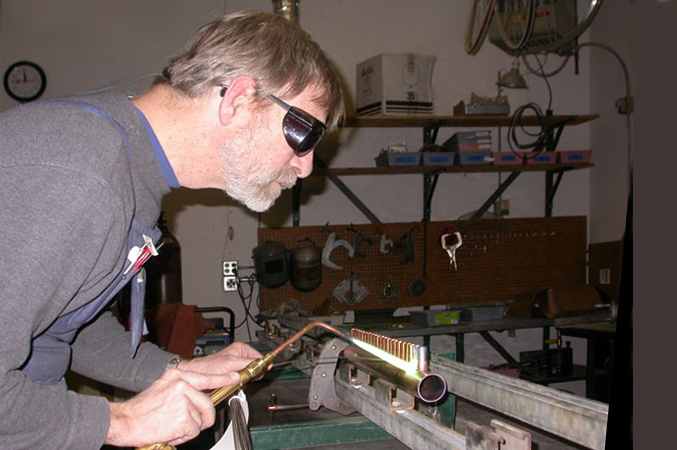 We offer professional planning in addition to custom equipment fabrication. We recognize the difference between experimentation and tried and true methods of delivering proven results. We offer pre-selected and optimized equipment packages appropriate to particular applications. We recognize that the point of planning is to provide function while preventing failure and our service work has always informed our planning work. The functionality and reliability of our finished mechanical systems have evolved and improved as a result. Our climate in Montana is a proven testing ground for heating equipment and we are unavoidably students of failure. As a result we have learned a great deal over our 30 years in business and we take a conservative attitude toward what works and what doesn't. 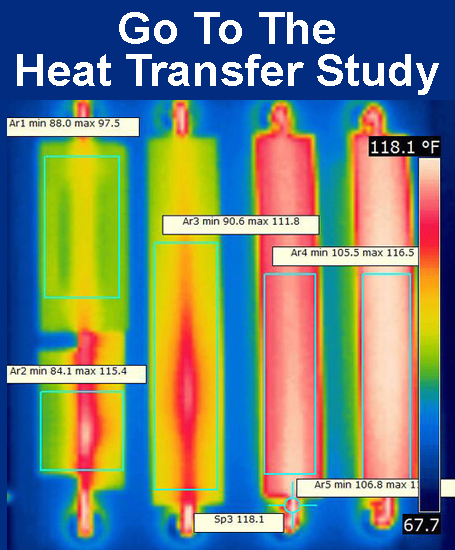 We specialize in hydronic heating and distribution systems. Hydronics allow for choice of energy sources for heating and cooling, versatility in the selection of distribution equipment, low energy consumption and low heat loss related to space heating distribution, and zoning to address diversity in building designs and uses. Use of hydronics gives us the ability to deal with diverse heating applications such as domestic water or snow and ice removal with the same heating equipment. 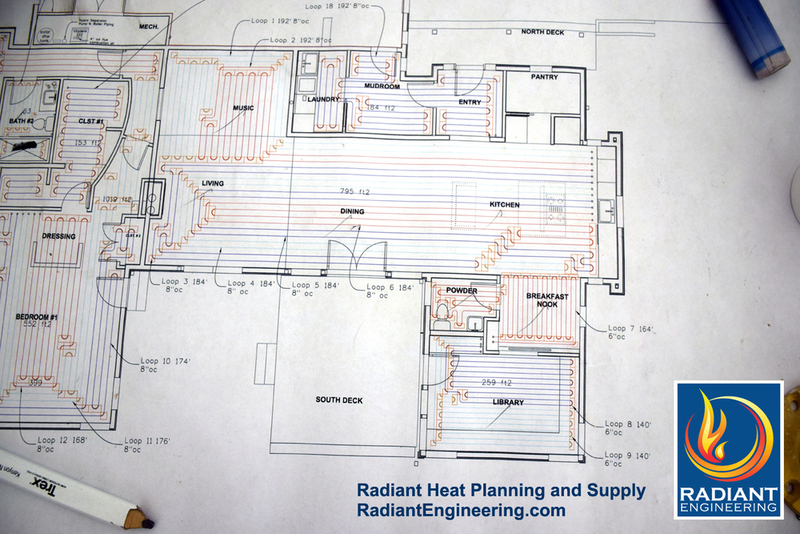 Though we promote radiant floor heating systems as ideal in many applications, we often plan other hydronic components into projects to produce the most appropriate overall system. These components can include panel radiators, hot water baseboard, and a variety of fan coil units. 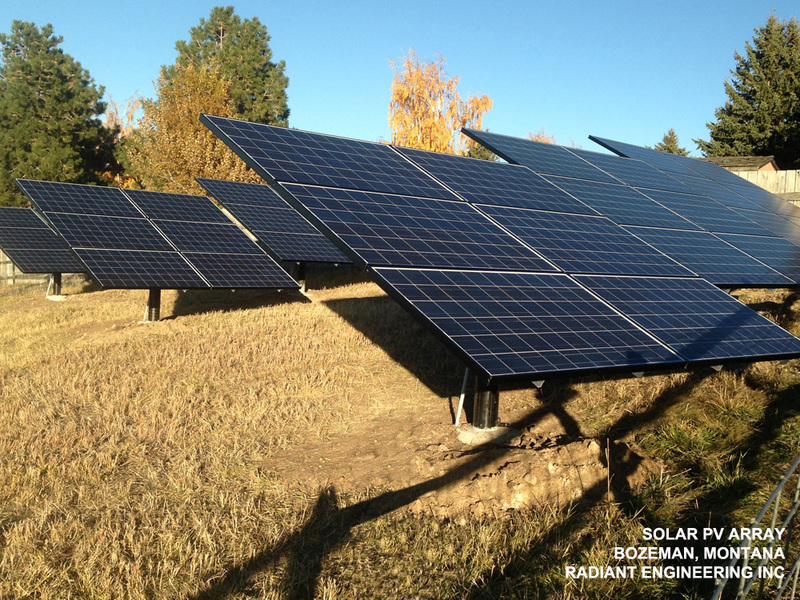 We offer equipment packages and energy solutions appropriate for diverse applications. These can include plans for a range of residential project types from new, ultra-high efficiency homes to mechanical systems to retro-fit existing homes and buildings. Commercial applications range from multi-use buildings, to aircraft hangars, and commercial snow melting. 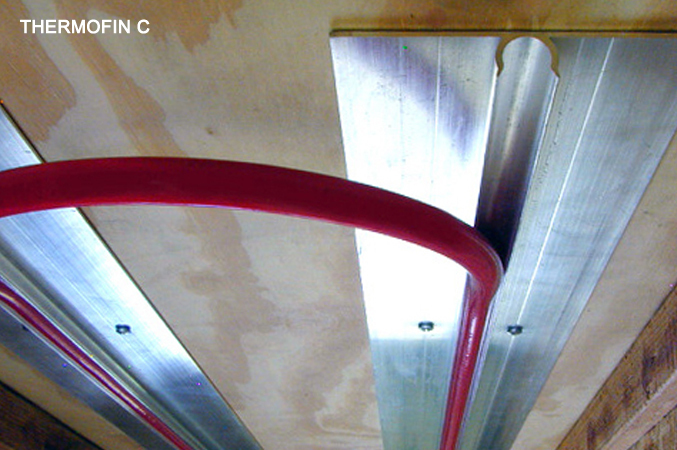 We specialize in finding appropriate retro-fit measures for existing buildings and challenging applications. 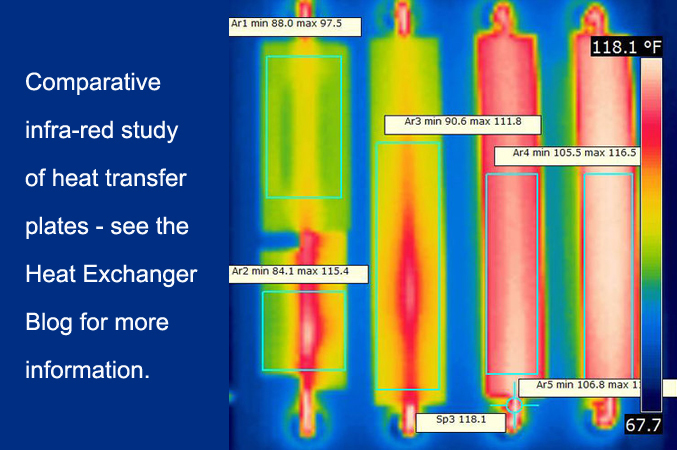 We select the simplest and most economically rewarding energy solution for a given project. On behalf of our clients, economic considerations drive our planning work. We think that individual energy consumers can have the most environmental impact by making wise energy investments. In our mechanical system plans and fabrications, we work to select the best component products the world has to offer. We select manufacturers that provide the most appropriate technology as well as the best products and customer support. In consultation with the owners and other planners and contractors, RADIANT sizes, specifies, and then builds these component selections into a system plan for the project. 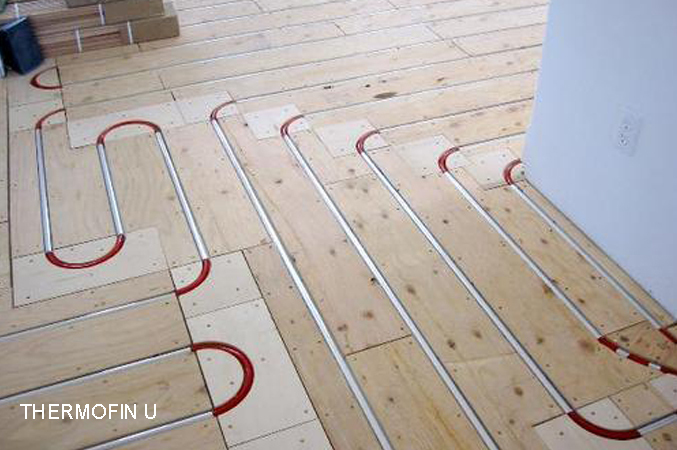 Radiant floor heating is a heating system that warms the entire structure quietly and efficiently. It is not an extra luxury. 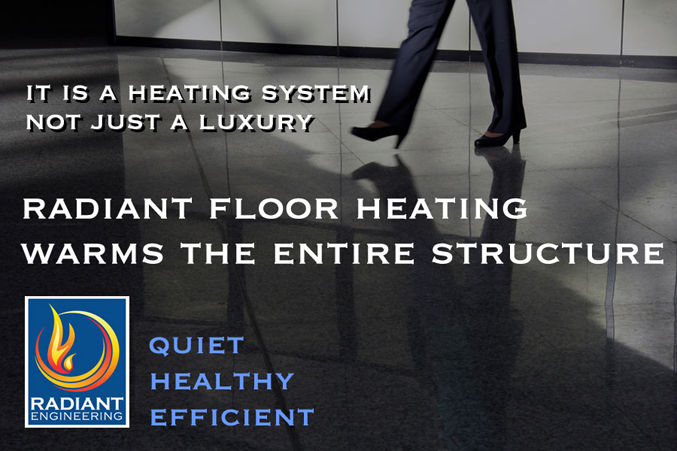 It is a system that is clean and healthy, without the blowing dust, allergens, and drying air of forced air furnaces. It warms the building as needed in response to the outside temperature.